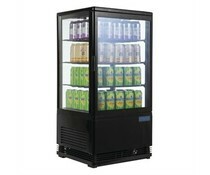 The Polar commercial ice machine is a high quality,reliable ice maker. Boasting a compact and stylish design, the commercial ice maker is perfect for front-of-house ice dispensing. Featuring durable and hygienic stainless steel construction.